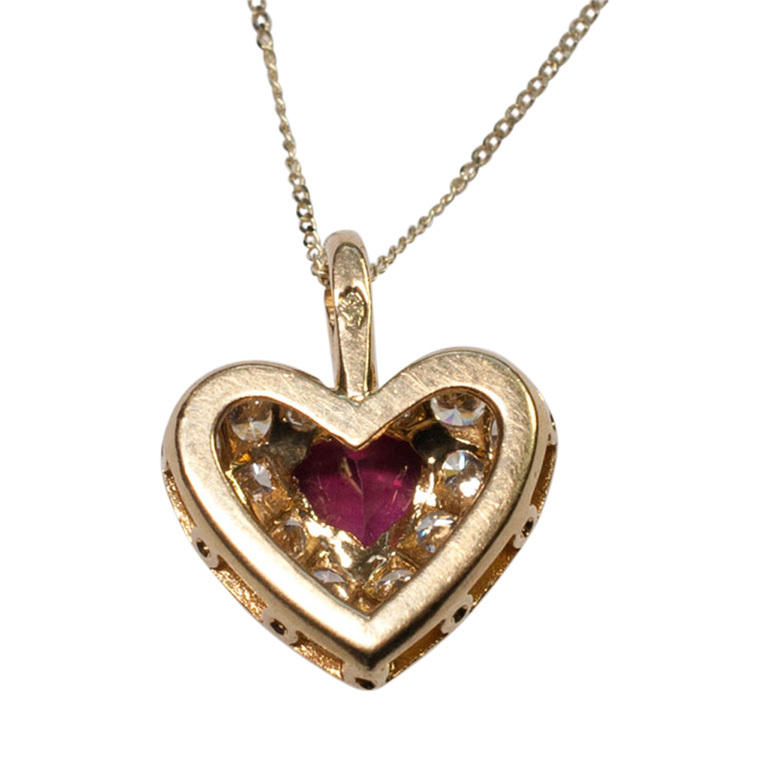 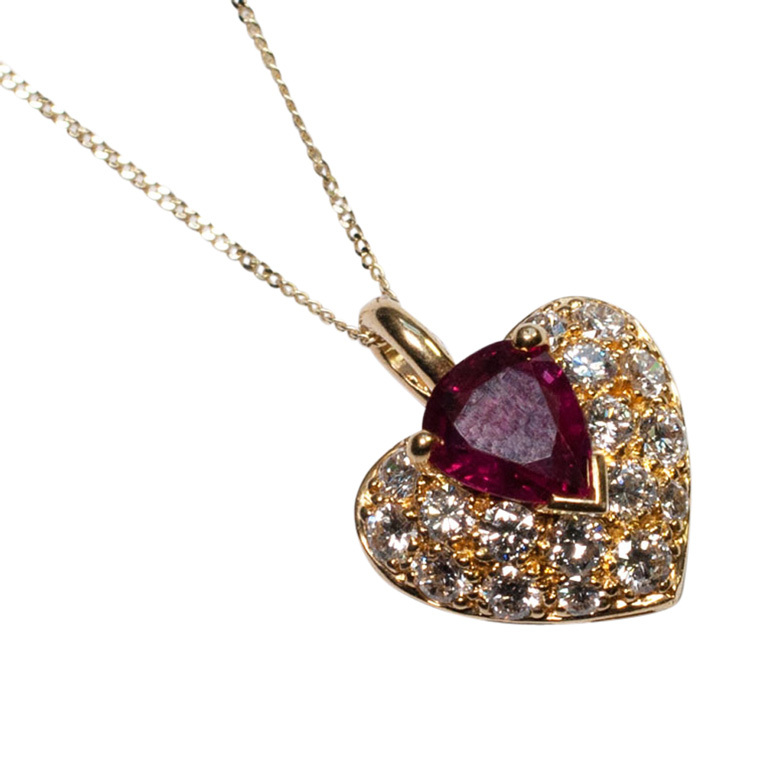 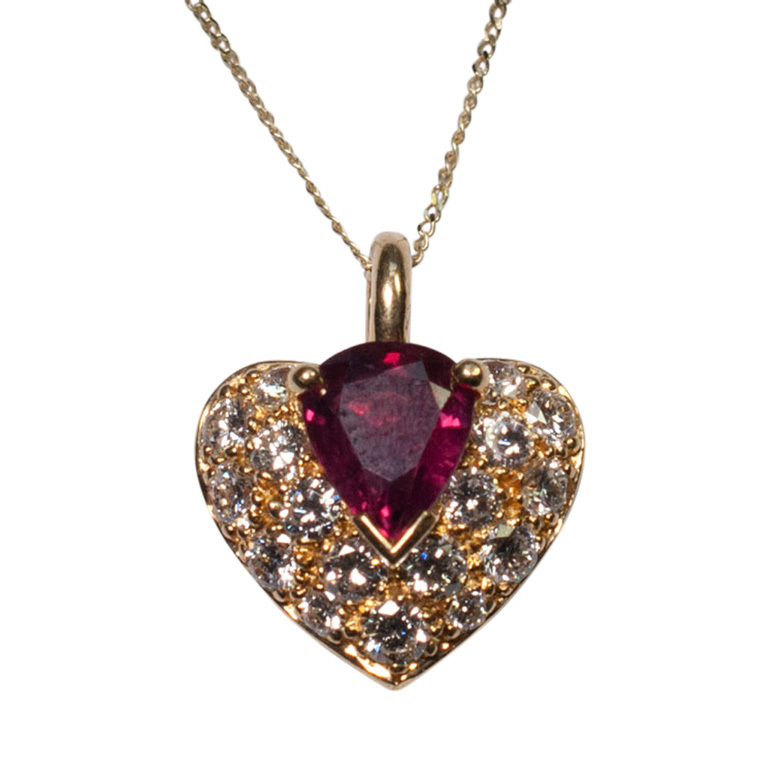 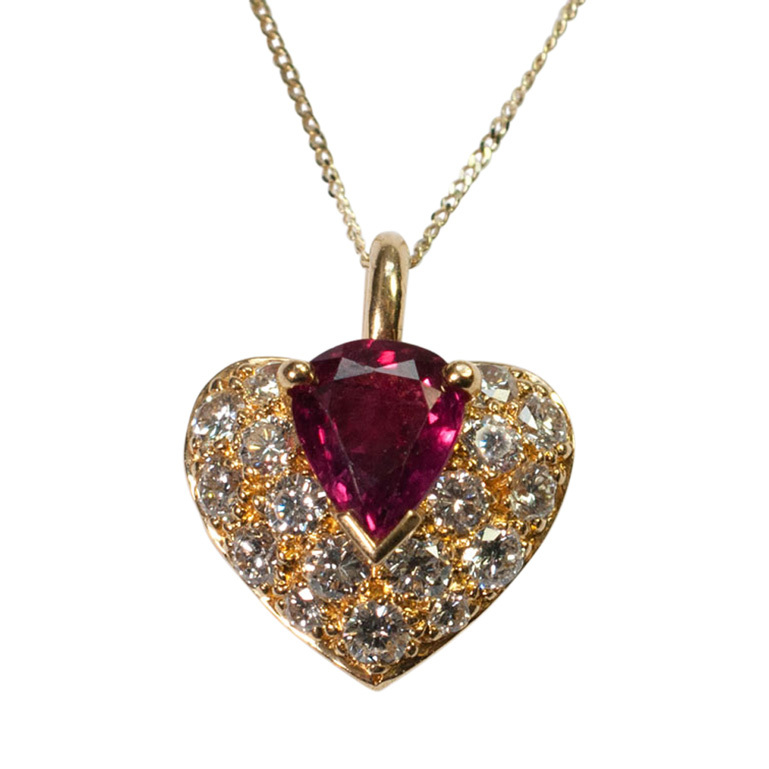 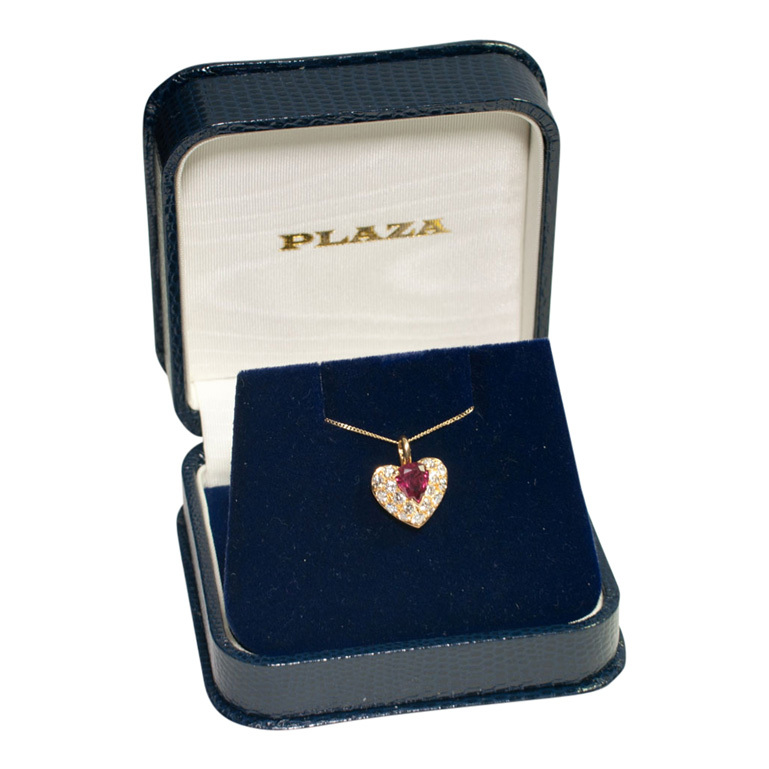 Pretty and romantic French ruby and diamond heart pendant in 18ct gold. 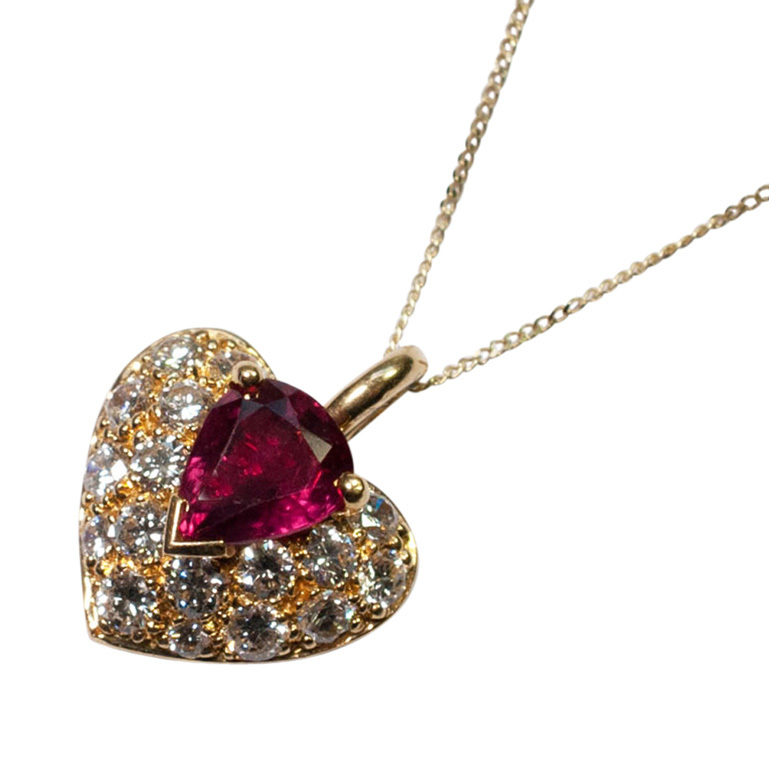 The vivid pinkish red pear shaped ruby weighs 0.90ct and is surrounded by brilliant cut diamonds totalling 0.34ct set in 18ct gold. 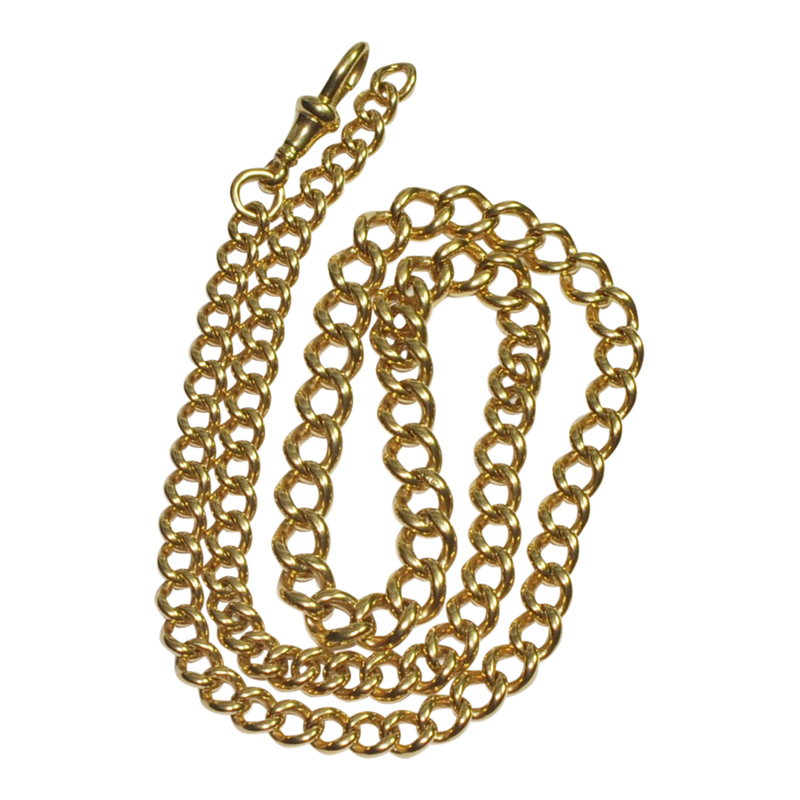 Weight 2gms; measurements 1.3cm long x 1.1cm wide. 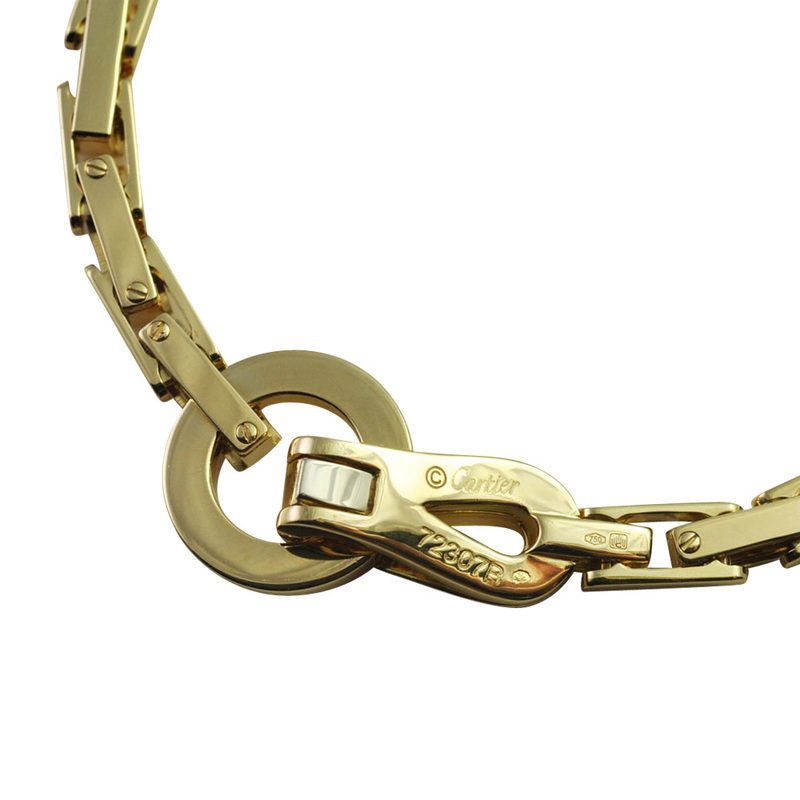 Stamped with the French 18ct gold assay mark (Eagle’s head). 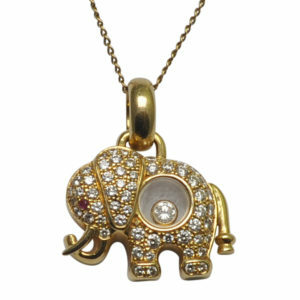 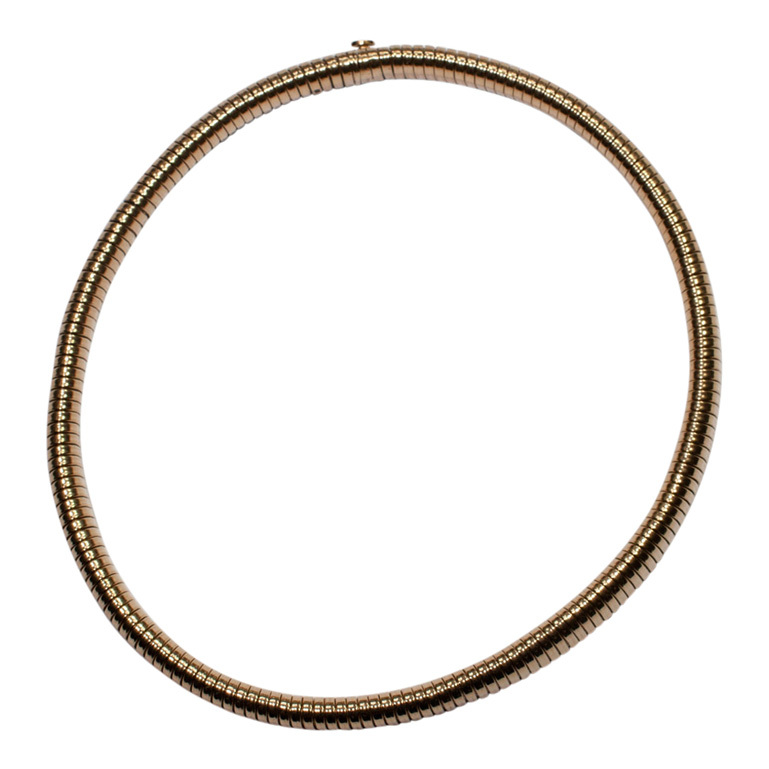 The pendant has a gold loop attached and is supplied with a fine 18ct gold chain.